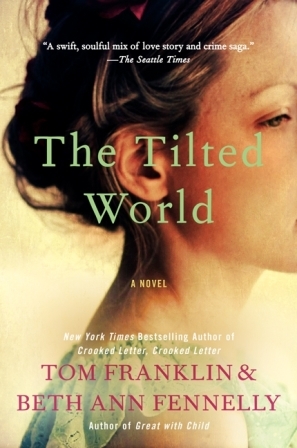 This was my first book by Tom Franklin, but I’ve heard so many rave reviews about Crooked Letter, Crooked Letter, that when I was offered the chance to review it, I knew I couldn’t pass it up. The beginning of the book not only grabbed my attention, but it also made me laugh over and over. The visions in my head of Dixie Clay “sloshing” through the mud, and then her husband Jesse talking his way out of the predicament he was in by pretending there were 3 men out there with Dixie Clay was genius! But from there the book took a slight decline. I think the story would have had a better flow to it if it had been written by one author instead of two. Sometimes it seemed as if one thought ended and a whole other thought process was started. Other times a scene went on to long. My favorite characters are Dixie Clay and Ingersole. I loved that Ingersole tried to hunt down a home for the baby. And the way Dixie Clay reacted to the baby was very touching. The middle of the book seemed to drag a bit. The good part was that it was very descriptive, and I could see what I was reading. Then, even though the ending was a bit predictable, I still enjoyed it. All in all this was a good read. I did learn some interesting things about the flood, and I think it would be a good choice for anyone who loves historical fiction. Tom Franklin was born and raised in Dickinson, Alabama. He held various jobs as a struggling writer living in South Alabama, including working as a heavy-equipment operator in a grit factory, a construction inspector in a chemical plant and a clerk in a hospital morgue. In 1997 he received his MFA from the University of Arkansas. His first book, Poachers was named as a Best First Book of Fiction by Esquire and Franklin received a 1999 Edgar Award for the title story. 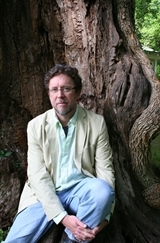 Franklin has published two novels: Hell at the Breech, published in 2003 and Smonk published in 2006. The recipient of the 2001 Guggenheim Fellowship, Franklin now teaches in the University of Mississippi’s MFA program and lives in Oxford, Mississippi with his wife, the poet Beth Ann Fennelly, and their children. Overly descriptive books drag for me as well. I’ve hesitated on this book because of the time period it’s set in. I don’t read many historical fiction, but the blurb sounded so good I didn’t want to pass it up. Thank you for sharing your honest thoughts about this book. It appeals to me in some ways. The book has a pretty good rating on Amazon and Goodreads, and I am glad I read it. I’ve heard about this one, but haven’t added it to my list yet. Great review on your thoughts about it. I picked up this book after loving Crooked Letter, Crooked Letter, but it ended up losing my attention and I put it down. I’m glad you enjoyed this one overall! Thanks for being a part of the tour.